If you need to change the bot managing your Second Life group, you can do this yourself now. Instead of writing a support ticket or asking our manager to make the necessary changes, login to your SB account and click on the “change” link next to your current bot’s name. Don’t forget to invite the new bot to the groups and give it the necessary abilities! If you need a help, contact any SmartBots support manager. Rent a Personal Bot with SmartBots! 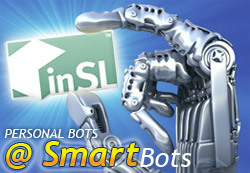 We are proud to introduce the new SmartBots service: Personal Bots! 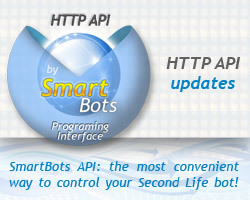 SmartBots’ personal bot is your own Second Life avatar hosted on our servers. As before, we ensure that your bot runs 24 hours 7 days a week. 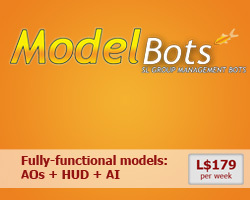 We will help you to manage your bot avatar! Easy setup, live support is available!